Watch and pay close attention to the worship leaders who resonate with you and your church. Are they formal or casual? How do they arrange the songs? What sort of messages speak to you deeply when they’re speaking in between songs? It’s also important to pay attention to and avoid the things you DON’T like about their style. Practice and rehearsal are two different things, but it’s important to do both. Practice is learning the structure, chords, melody, and your particular parts within that song, while rehearsing involves the whole band. You need to make sure that each member of the band collectively knows the songs, where it might get quiet or louder, and how to compliment each other. If you’re ambitious, try recording your rehearsals and review them to get a better idea of what needs improving. Practice the songs. No brainer, but spend as much time as possible learning the songs, even if your band has charts on stage. When you’re leading or playing in the worship band, you shouldn’t be spending any energy THINKING about the song. You should be FEELING the song. Try to mimic your leading when practicing. Learn and run through the songs in the order they will be played at service. Will you be using a mic? Will you be sitting or standing? Playing electric or acoustic guitar? Consider all of the factors and try to replicate them the best you can. Solidify a set and find the best keys for each song so that everyone can practice correctly. Switching up a key last minute is just as difficult as switching songs entirely. Make sure everyone in the band is comfortable with the song and their parts. If someone is having a difficult time with any aspect of the song, offer to help them practice. Maybe there is another skilled musician in the church who would be willing to work with the band. Use the Nashville Number System to make musical direction more streamlined. If you feel uncomfortable, you’ll look uncomfortable. Everyone’s got their sweet spot between ball gown and pajamas. You want to look nice, but at ease. 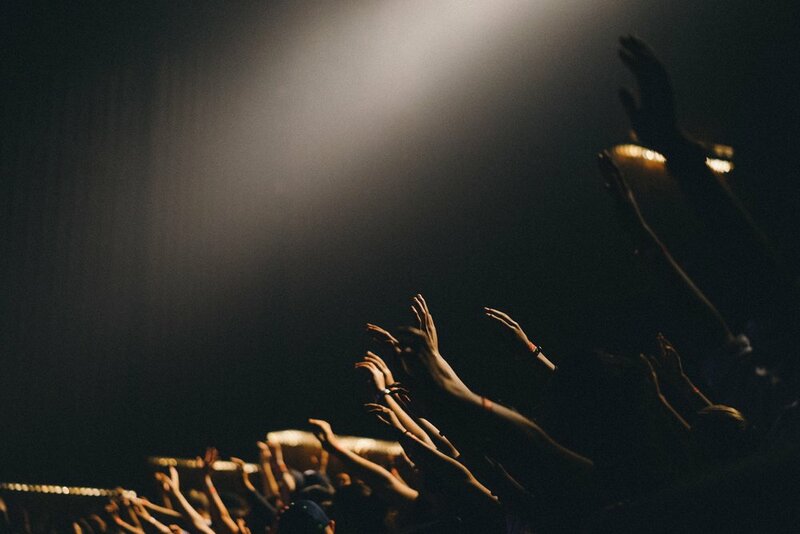 Leading worship is a responsibility that should be honored. Have fun, and let your personality shine through, but remember that this isn’t the YOU show. This is about leading people closer to Jesus. Know what works best for your when talking or praying in between songs. If speaking off the cuff is more honest and fluid, go for it! If you’re more comfortable preparing remarks and rehearsing them, that’s fine too! You want to make sure you’re voice and message ring true, but there’s no right way to go about it. Pay attention though to what the message or theme of the service is and keep your words relevant. David Santistevan has a great read about Preparing The Heart for leading worship. Mistakes are bound to happen, and there’s nothing you can do about it. If you fret and get frustrated, the community will sense it. If you can quietly smile through it, so will they.